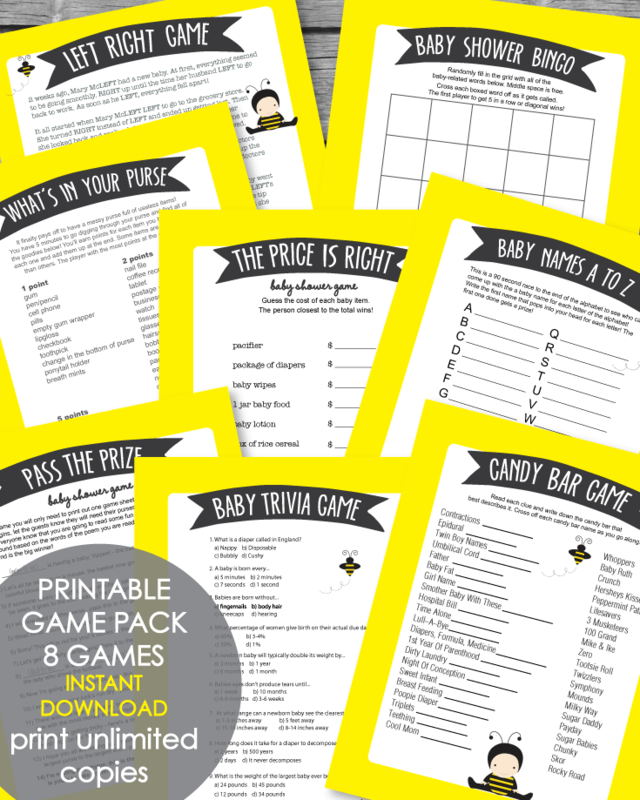 Get 8 popular, printable baby shower games in one big bundle! 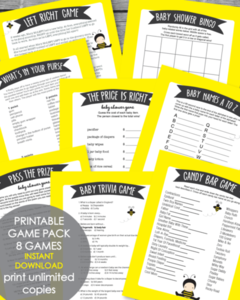 We've combined the most entertaining games into one printable pack just for you! Get 8 games for one unbelievably low price! Answer keys/Instructions are included. All of our products come as an instant download as soon as you order, so there is no waiting. Order - print - play! See all of our Baby Shower Theme Packs - in a variety of themes, colors and styles.